I.E.S. Parque de Lisboa was founded in 1986 as part of the educational network of the Ministry of Education and transferred in 1999 to the Consejería of Education of the regional government Comunidad de Madrid. 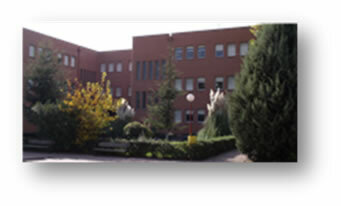 The school is located in Alcorcón (Madrid) between the neighborhoods of Parque de Lisboa, from which it takes its name, and San José de Valderas. Our school community includes a population of 600 students and 60 teachers. It offers the national curriculum beginning with 1 ESO (Educación Secundaria Obligatoria / Compulsory Secondary Education) through 2 Bachillerato (Baccalaureate: preparatory to university). Outside of the traditional classroom environment, I.E.S. Parque de Lisboa offers extra-curricular activities to students that include sports, theater, school magazine, etc. To better accommodate student schedules and maximize opportunities for participation, classes end 2 hours early once a week so that clubs can meet. Since its inception, I.E.S. Parque de Lisboa has emphasized participation in both European and international projects. Our educational community is aware that our students’ futures will unfold within a geographic, cultural, and economic context much larger than the generations preceding them. To prepare students for an increasingly multi-cultural world, the school regularly organizes student exchanges with European schools (Italian, Dutch, Danish, Belgian, Irish). We believe that these projects are an enormously valuable and enriching part of our students’ education. Opportunities for interaction and exchange between our students and students at our partner schools are among the most fundamental elements of the educational mission of the school. In the 2005/06 academic year, the Consejería of Education created an English language section at I.E.S. Parque de Lisboa in order to develop an integrated Hispano-British curriculum within the framework of an agreement between the Ministry of Education and Science and the British Council. This program offers Natural Science and Social Science classes in English, in addition to more English classes per week than the normal Spanish curriculum.